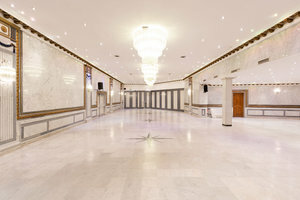 This beautiful 258 sq m event space in the upmarket area of Champs Elysées is perfect high-end events, fashion shows, showrooms and private functions. This space his bright white interiors with a classical feel. 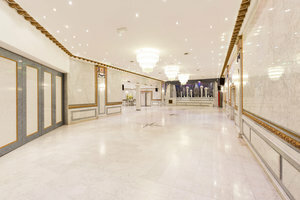 The historical features of the space including the chandeliers and detailed ceiling bring a regal atmosphere to the space. 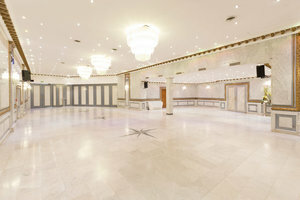 With a range of furniture including chairs and tables, the space is well-equipped to accommodate an array of event types. 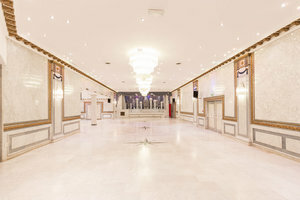 Located in the highly sought after area of Champs Elysées and a stone's throw from Place Charles du Gualle, this is an ideal location to impress and host an unforgettable event.